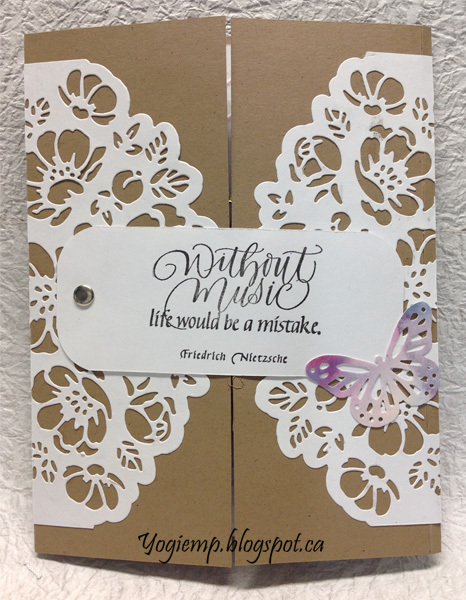 I was in a mood to make a couple gate fold cards using Elizabeth Craft Designs Moda Scrap die. Such a pretty die... This is the first one. Elegant and lovely! Thanks for sharing this with us at Penny's Paper-Crafty Challenges! A lovely card and a very pretty inside too, thank you so much for joining us over at Polkadoodles Challenge. Good luck! So beautiful! 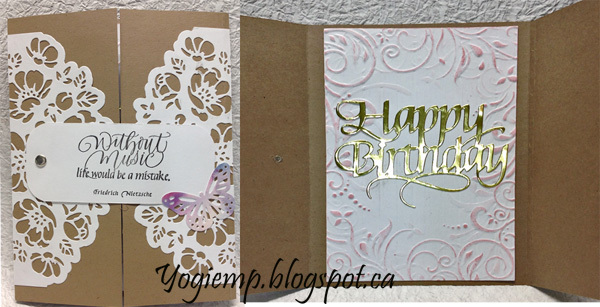 Love the flowery lace die cuts on each side and how it opens up to the golden birthday sentiment. Thank you so much for joining us at Penny Black and More challenge this month! Lovey gatefold card. Thanks for sharing it at 4 Crafty Chicks this week! What a BEAUTIFUL creation Yogi! Thanks so much for playing in our ‘Birthday’ challenge at Dies R Us. Good Luck and please come back again soon! Beautifully done, Yogi! I love the lacy die cuts on the front and the sentiment is great. I'm delighted to see you playing in our Anything Goes challenge at QKR Stampede this week. Good luck in the draw. So pretty. Thanks for sharing with us at CCCB! 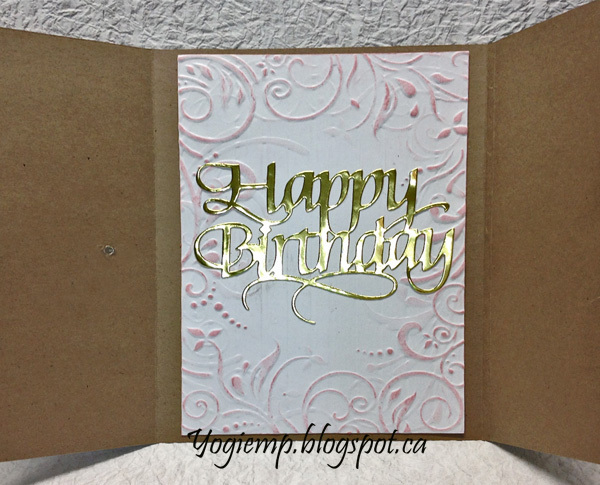 A lovely elegant birthday card! Thanks so much for joining us at Dies R Us for the challenge! So lovely!! Thank you for your lovely entry at Love To Scrap! Challenge Blog! Hope to see you again soon!! HUGS!